Our Robin ring is the perfect mix of bold and demure, classic and contemporary, formal and informal. 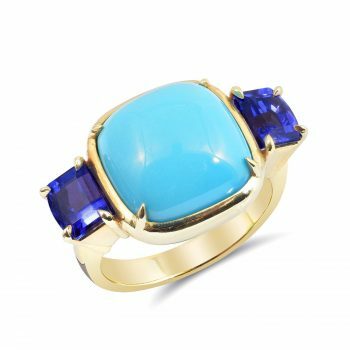 18k yellow gold is set with a Sleeping Beauty turquoise and two faceted tanzanites. 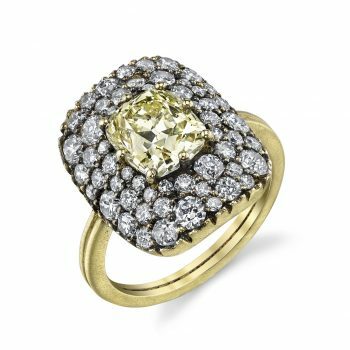 It’s a new dawn with this stunning 18k matte and blackened cushion-shaped ring featuring a pale yellow old mine cushion-cut diamond center and old European-cut diamond pavé. 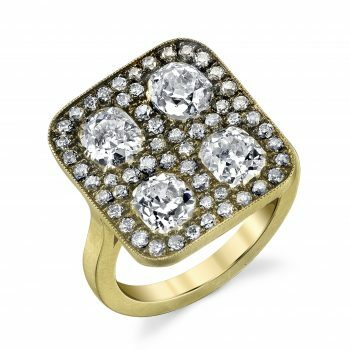 18k matte and blackened cushion-shaped cluster ring featuring four old mine cushion-cut diamonds and old European diamond pavé. 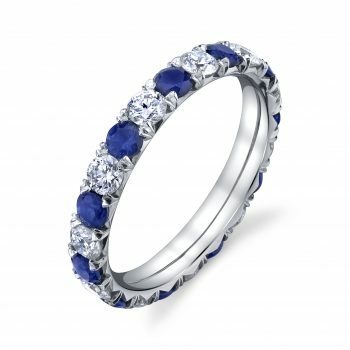 Crisp and classic platinum eternity band with sparkling diamonds and deep blue sapphires. 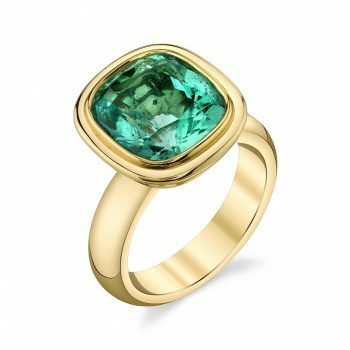 A bold 18k gold double bezel ring featuring a cushion-cut chrome emerald. 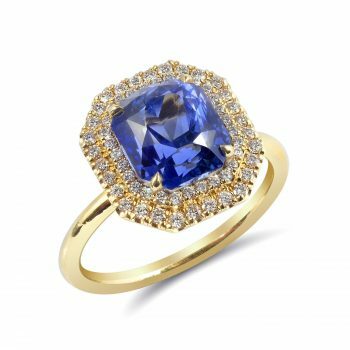 18k yellow gold ring with cornflower radiant-cut sapphire and a double halo of round brilliant-cut diamonds on a round gold band. 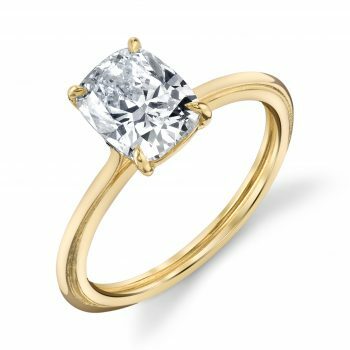 18k yellow gold vintage-inspired triple wire ring setting with open basket and prong setting. 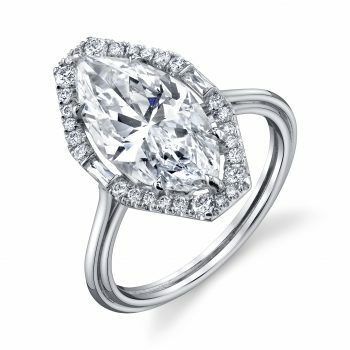 Platinum handmade ring with marquise diamond surrounded by unique octagonal halo on a three wire band. 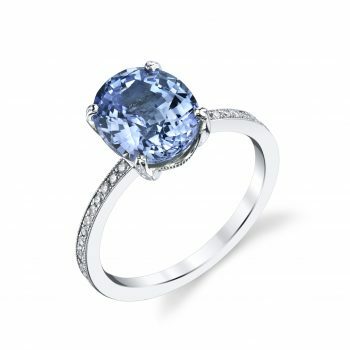 Platinum ring with oval-cut light Ceylon sapphire and delicate diamond pavé details. 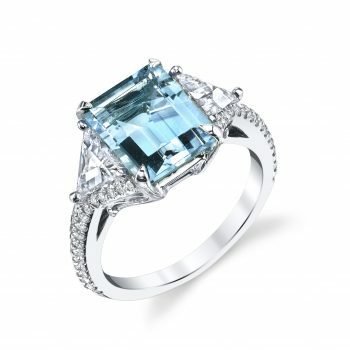 18k white gold handmade ring with deeply saturated emerald-cut aquamarine, side rose-cut trillion diamonds, and pavé diamonds. 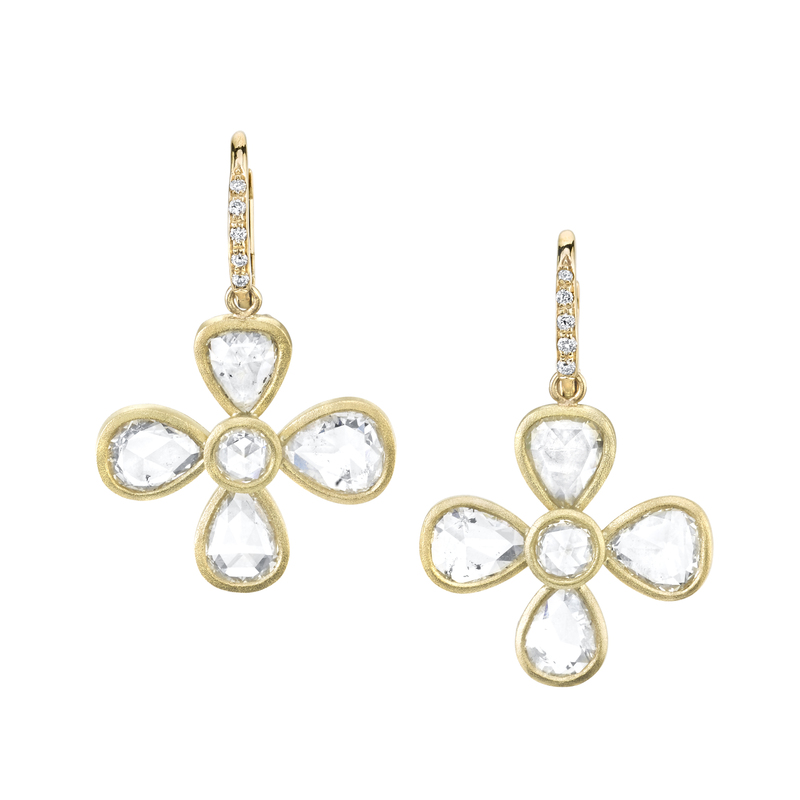 “Clover” earrings with pear shape rose cut diamonds and a round rose cut diamond in the center. 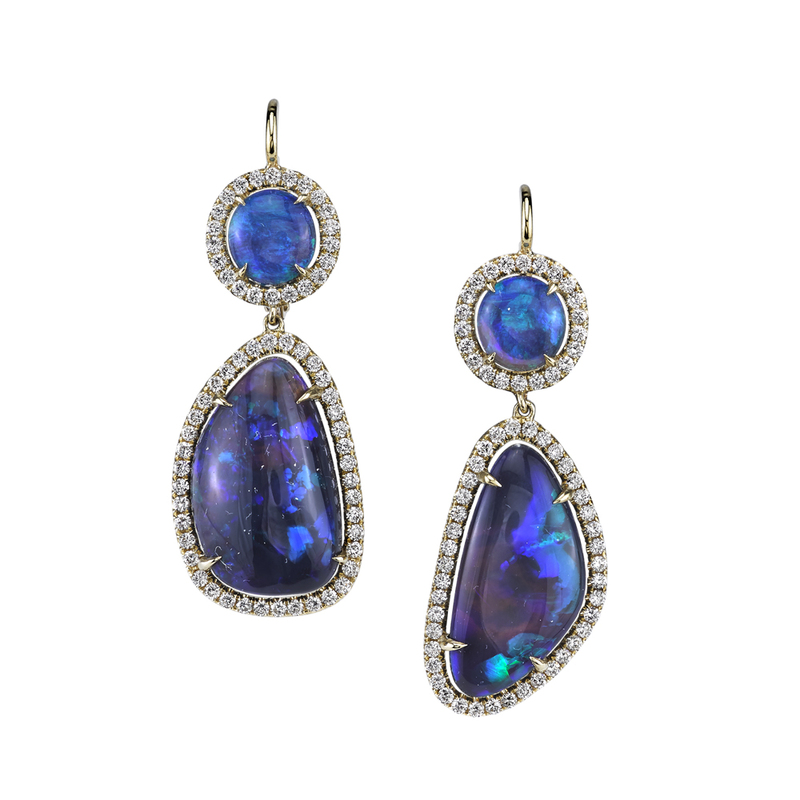 Blue Border Opals are surrounded with our signature diamond border, set in 18kt yellow gold. 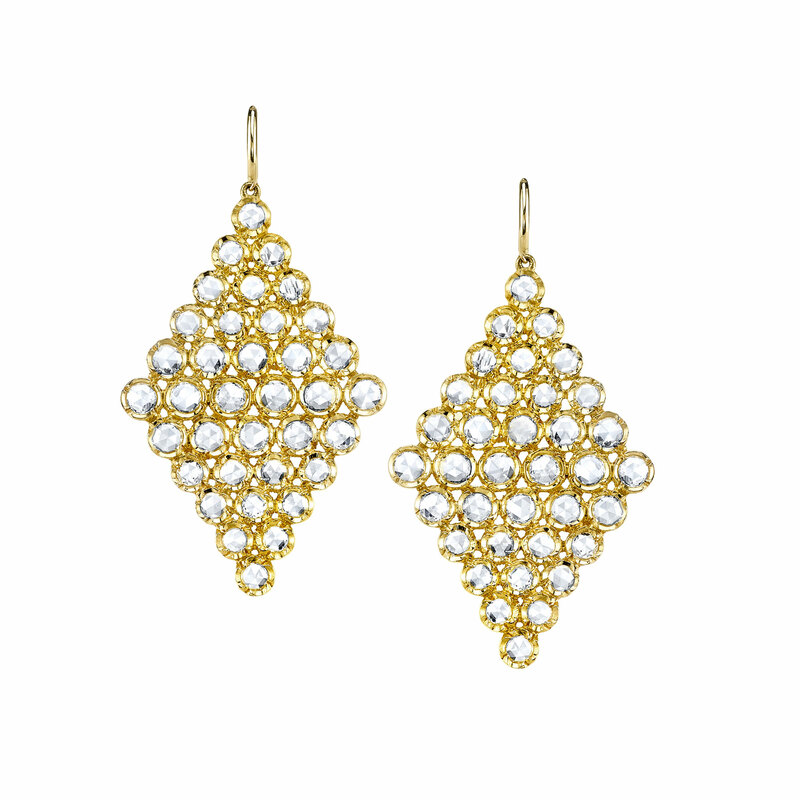 A pair of 18 karat yellow gold diamond shaped drop earrings, with 72 round rose cut diamonds individually set in beautiful hand made “Queens” bezels. 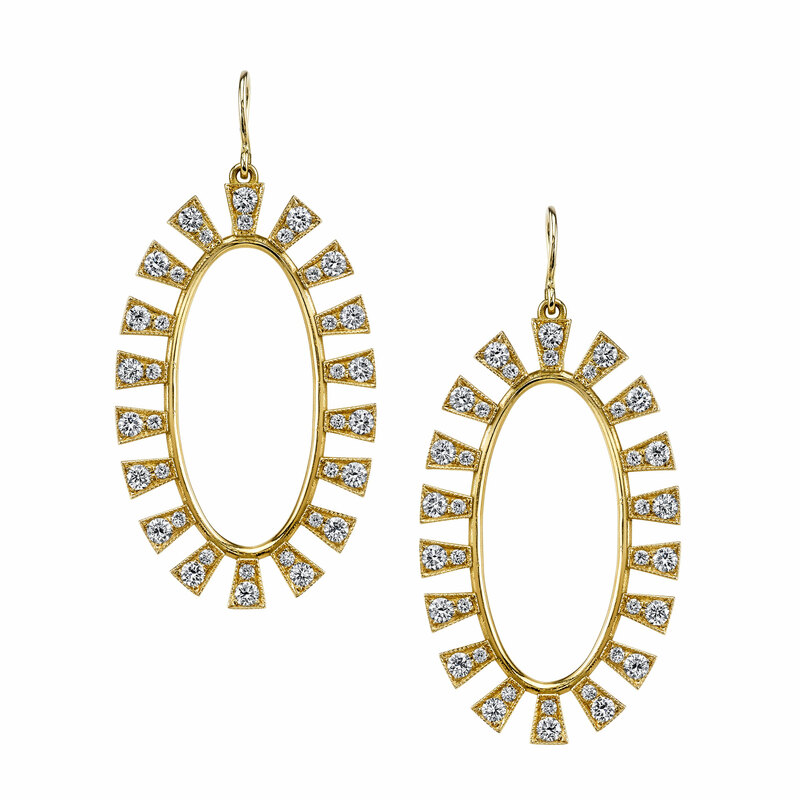 Gorgeous Handcrafted 18kt Yellow Gold & Diamond Tapered Oval Shape Hioop Earrings. 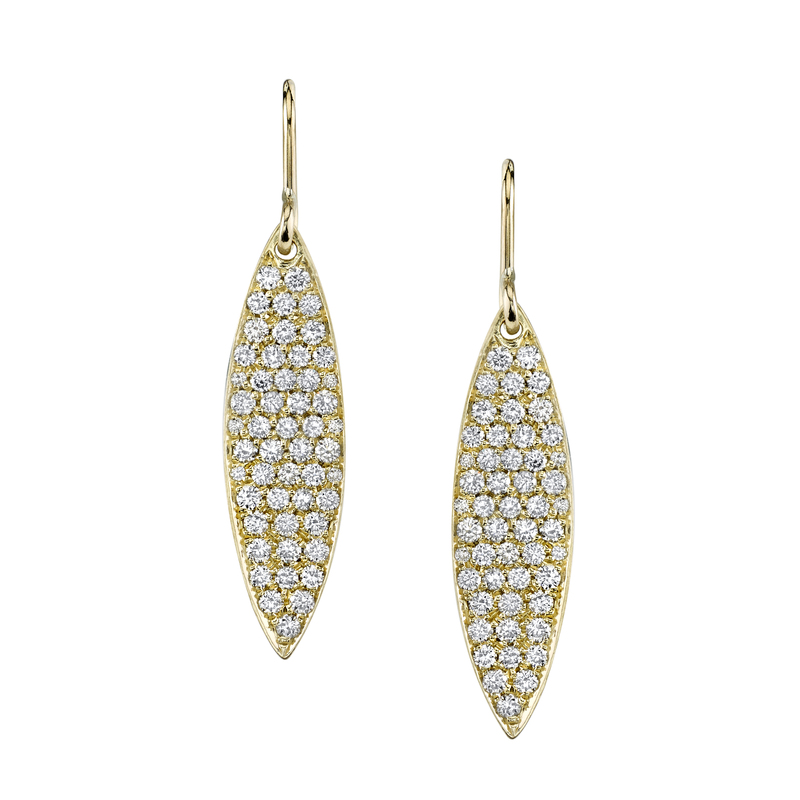 Gorgeous Handcrafted 18kt Yellow Gold “Marquise Shape” Pave Diamond Earrings. 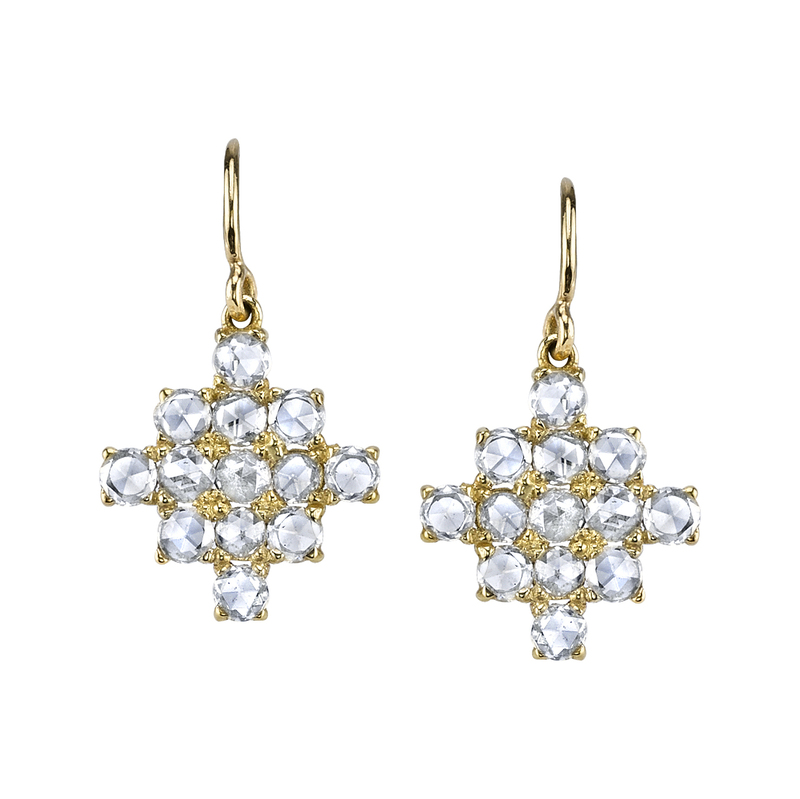 Beautiful handcrafted 18kt yellow gold earrings set with rose cut diamonds featured in handmade open back prong settings. 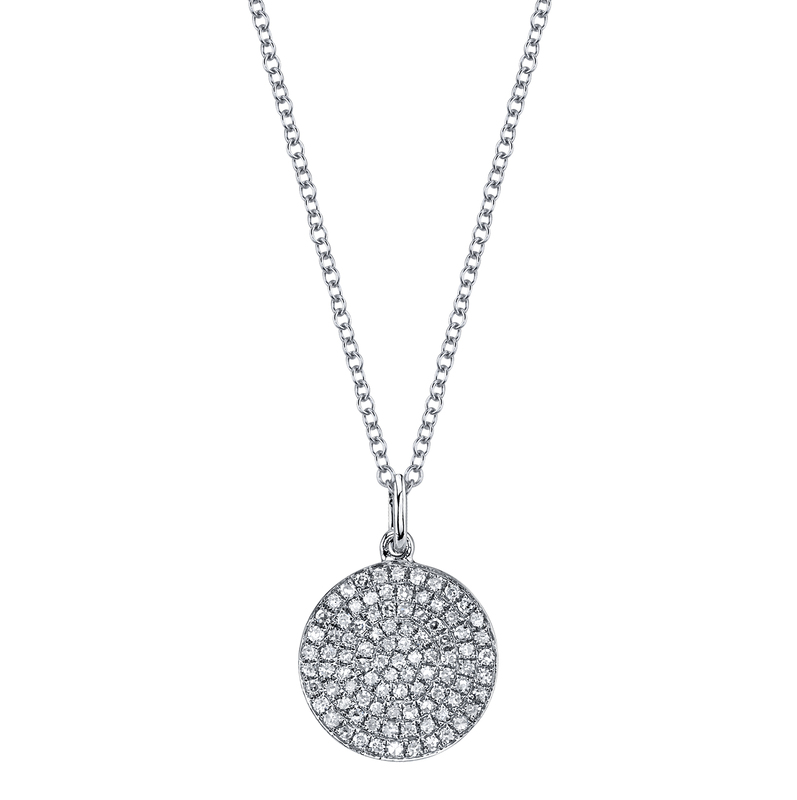 14kt white gold, micropavé disc pendant, set with round brilliant cut diamonds. 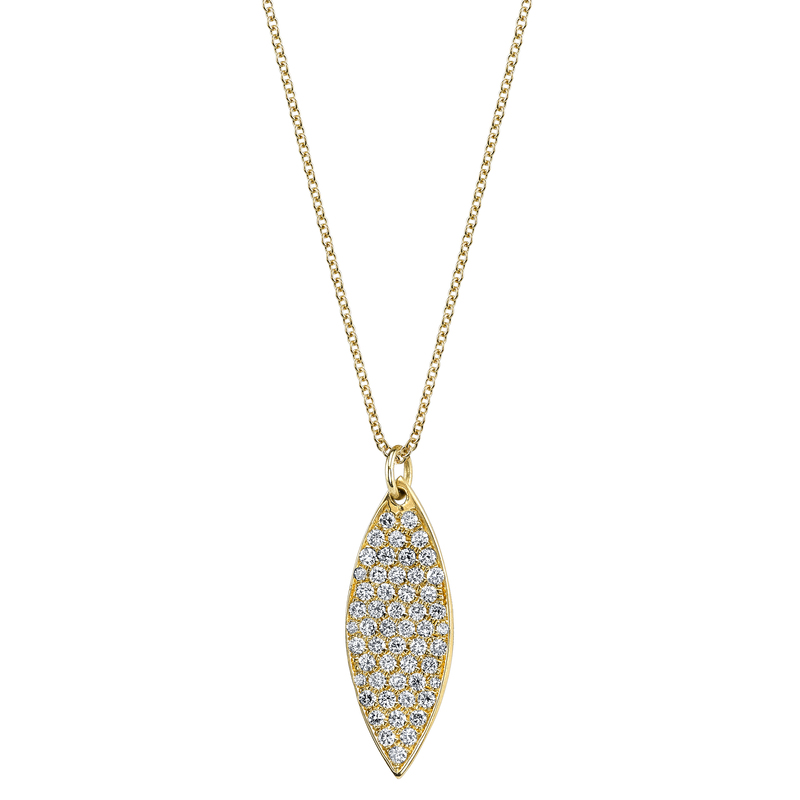 Handcrafted 18kt yellow gold oval shape “Diamond Shape Inlay” pendant, set with round brilliant cut diamonds. 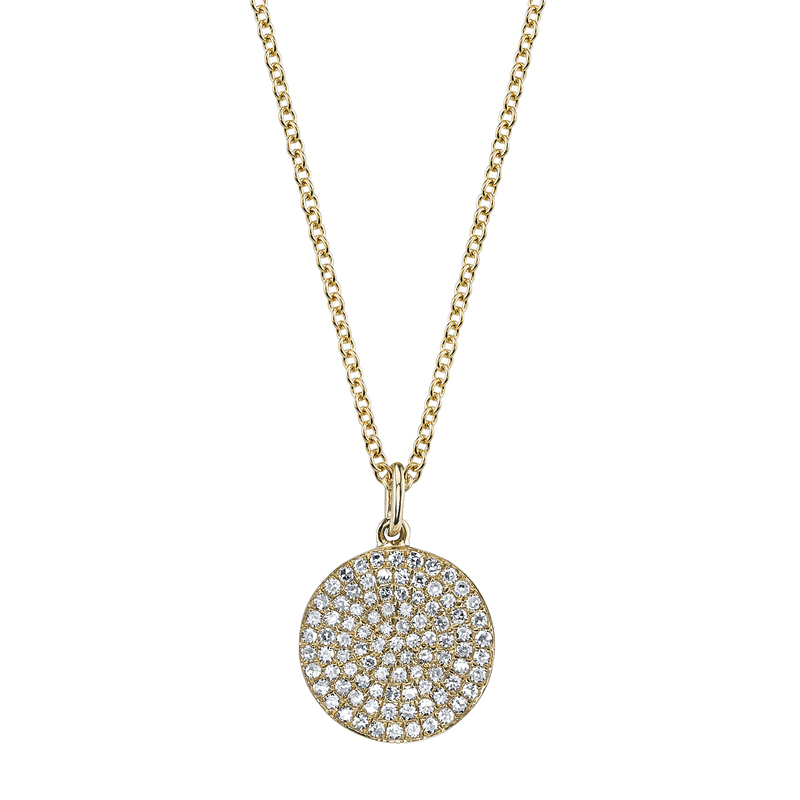 14kt yellow gold, micropavé pendant, set with round brilliant cut diamonds. 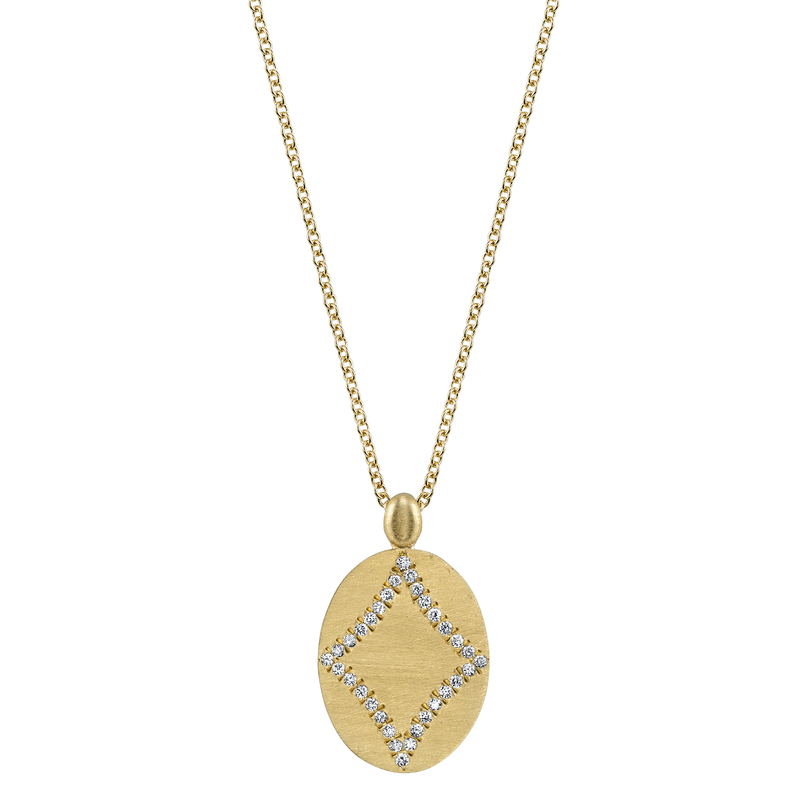 Handcrafted 18kt yellow gold navette-shaped micropavé diamond pendant , set with round brilliant cut diamonds.